It is diwali time and when I was a kid Diwali was a synonym for lots of gifts, sweets, crackers and new clothes! I am sure you have made your list of family and friends and what to gift to whom. Choosing a gift is always a task, especially when it comes to buying for these tiny most giftworthy members. Know what, I have a nephew who expects a toy each time we come home from outside, no clothes, no chocolates, no books; only and only toys. I am sure he is not the only one like that. So, why not make the most of their preference for toys, instead of choosing a regular toy, we can buy fun educational toys that can enhance multitude of skills for them. The brain gets it's stimulation from everything that surrounds us, so why not introduce toys that will help develop cognitive skills, motor skills and creative or out of the box thinking for your kids? I find educational toys the best things to gift, and even better if I get these in wood. Choosing the right toy is also a baffling task with markets full of options. I for one have been buying wooden/cloth toys for my child and for others for quite sometime now. Even the return gifts that we chose for my baby's first bday were made up of wood. But what makes wooden toys so special? Plastic can never match the joy that wood brings. In the past 18 months we have amassed a room full of toys, plastic (mostly gifted) and wooden both. We are trying to do our bit for the environment not in one but many ways, this being one of those. They are safe unlike plastic toys that are flooded in the market. Not all the plastic in Indian market is safe for kids, especially for the ones who mouth everything. They are ecofriendly and have a long long life. With rare and very gradual wear and tear, these can be passed on from one sibling to another and if maintaines well then from one generation to another! They don't add to the landfill, being eco-friendly there is no worry of disposing these wooden toys. The smell and feel of wood brings one close to nature and that is why Waldorf and montessori systems of education emphasize on the use of wooden educational material. Wooden toys are great for fine and gross motor skills as they are heavier than their plastic counterparts, the kids need to exert slightly more force while playing and so they develp their motor skills better. Most of the wooden toys are for open ended play, so they enhance imaginative and creative abilities of a child unlike battery operated plastic toys where the toy dictates a limited action. Since, most of these are handcrafted as a buyer you end up supporting employment of a larger mass. Also they not only are great functionally, but I think, look wise too they are much more beautiful than plastic toys. 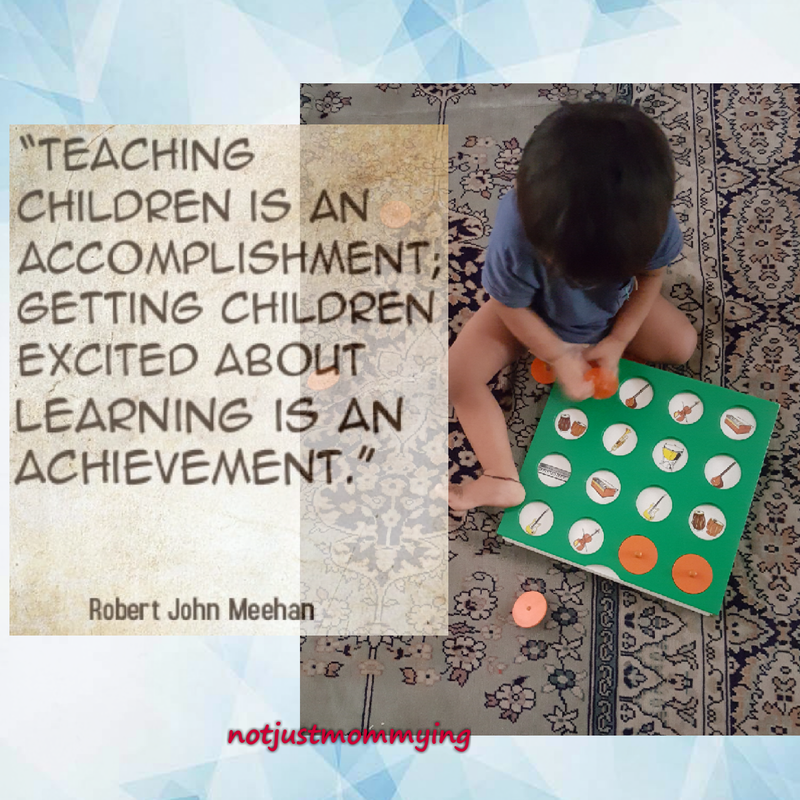 With all these good things, I have to say that wooden educational toys make the best gift, and I would any day choose them over plastic/ battery operated toys. Skola toys have a great range of educational toys available for all age groups and these make a wonderful gift. I gifted my nephew skola memory game last christmas and it was a big hit. From a 4 year old child to 60+ years old grandparents all have a good time playing with it. I feel fortunate to have options like Skola toys in the market for my child when it comes to wooden toys, because I don't remember myself playing with enough wooden toys when I was a kid. My aunt is yet to choose a toy for her lil one, Skola toys sounds gret! I think skola toys are best idea for gifting someone Special. My niece is demanding a diwali gift from me. So i think my search ends here. You gave me an amazing idea of gift for her. Thanks for sharing this. Heard a lot about Skola toys. Wooden tys are safe and best for kids. We have a collection of wooden toys too. I am glad more mothers are now aware about the safety issues with plastic toys. I am yet to buy Skola, they are next on my list. I too preferwooden toys over the plastic ones. Skola is bringing out wonderful conceptual toys which will make great change. Indeed skola toya can be a great gift as a Diwali gift, shall get one for my son! !